Congratulations to all our Winners this Season! Due to weather and road conditions, all games are canceled tonight. The schedule will be adjusted and this week's games will be played next week, and so on. The D2/E split gym for February 27 is at Baden Public School. The permit hours for this night are 8pm - 10:30pm. Please see the schedule for start times for each match for Feb 27. 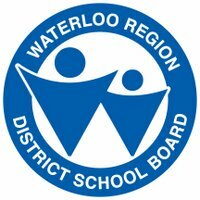 Schools are closed due to the ice storm - no volleyball on Feb 6. Schedules for the 2nd half of the 2018-2019 season have been posted. Good luck to all! See revised schedules for E and D2 for Nov 14 - Baden replaced by Lester B Pearson. Revised schedules posted on Oct 9. These schedules are dated Oct 9, and reflect a few gym replacements and clarifications in all divisions. And we welcome our new team, CPR, as team number 7 in E division. Searching for 1 more team!! We are still 1 team short in our league for 2018-19. 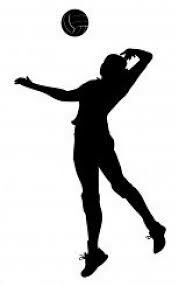 If you have a team and would like to explore joining the KW Co-ed Volleyball League, please contact Dave at valleyboy77_26@hotmail.com. Update, as of Sept 28, the final team spot has been filled. Thanks to all who helped Dave get this done! One week till the season starts - play begins on September 19, 2018. Schedules are available on each Division page. Good luck to all - Hope it's a great season for everyone! Playoff Results - Winners and Runners-Up! Congratulations to all on a successful 2017-18 season. Have a great summer! The first half of the KW Co-ed Volleyball season is over (12 weeks goes by so quickly!). With 2 Wednesdays remaining before the Christmas break, we will be using that time for a mid season league tournament. Each division will play at a single school each week. Round robin play will begin in week 1 (Dec 13). Completion of the RR, if necessary and Tournament playoffs will follow in week 2 (Dec 20). There are slight variations for each division, so check the actual tournament schedules on the division pages and convenor instructions at the schools for more detail. The 2017-18 season will begin on September 20. Schedules are posted on each division page. LIBERO is now allowed as a valid substitution method in C division ONLY. 1st Half Schedule ends on December 6. The following 2 weeks will be a mid-season tournament. Details to come. First aid kits are now the responsibility of each team. Supplies will not be stocked in equipment bags. Switches between divisions will no longer be automatic, and will only happen at the discretion of the Exec. This could happen at any time, and the teams that switch would start in their new division with a 0-0 record. And on to the Finals! On April 19, the finals will be played in each division. In C, V-Ballin' will play I'd Hit That. In D1, Notorious DIG will play Hit List. In D2, Volleybulls and Set for Life will clash. And in E, it will be That Team and The Naturals playing. Best of luck to all teams! Yes, we have a tie! In fact, we have 2 ties in E division. There will be a 1 game playoff between That Team and Naturals for 1st and 2nd in E Division, and also a 1 game playoff between Brew Crew and Busta Spike for 7th and 8th place in E. These games will take place immediately before the E playoffs on April 12. Still room for changes to the standings in all divisions in the last week. We'll get the final standings published here as quickly as we can after all the scores are in. Then, it's off to the playoffs! Two more weeks till Playoffs! Lots of change can still happen in all divisions in the last 2 weeks before playoffs. First place is in doubt in most divisions, and with 8 of 9 teams qualifying for playoffs, there is still room for movement for the last playoff spot in a couple of divisions. Good luck to all teams down the home stretch! Please note that during the week of Feb 27 – Mar 3, 2017 there may be a short electrical outage of about 30 seconds sometime during your rental. We do not have a firm schedule on which date this will be taking place. The custodian on duty will advise you if the technician arrives to perform their work. Thank you for your cooperation. 2nd Half of Season Begins! Schedules are now posted in each of the division pages. We begin play on Wednesday January 11, 2017. Congratulations to V-Ballin', Serves You Right, Coco Loco, and Net Assets, our 1st half division champs! The new net contact rules stipulate that: "Contact with the net by a player between the antennae, during the action of playing the ball, is a fault. The action of playing the ball includes (among others) take-off, hit (or attempt) and landing." We've done a bit of a makeover for the website. The look was tired, and we needed to adjust some of the technical aspects. Let me know what you think (here), or any suggestions you might have as we go forward. Later in the season, we will be moving to a new host, and a further update will be made to the look and functionality of the site. First games will be on September 28, 2016. Full schedules are accessible via the menu on the left, or from the Division pages linked above. Some divisions have done this in the past, and all are requested to do so this year: all teams should report their results to the division co-ordinator, on Wednesday night or Thursday. This will allow us to be able to post standings more consistently and with less effort for the co-ordinators. Good luck to all teams! Have a great season! Welcome! to Magda Vavak as our new E Division Co-ordinator. The remainder of your Executive is the same as last year for 2018-19. If you would like to become more involved in the Kitchener Co-ed Volleyball League, let Convenor Dave know!